I get a lot of emails asking for advice and resources, but the most common question I get, by far, is about what gear somebody should buy because they can’t buy something vintage. And the question is entirely fair, because vintage guitars and amps are not available to or right for everybody, and not all vintage gear is worthwhile or useful. At this particular time I’ve taken temporary possession of two pieces of gear that are perfect examples of great modern gear (a Loar LH-700 with a DeArmond Reissue 1100 pickup, and a new prototype Vintage 47 amp - essentially a more powerful VA-185G) , so it’s a great time to go through all of it. I first wrote about “Modern Gear for the Vintage Player” five years ago, in 2014. Since then my experimental data has only grown (proving the correctness of some my suggestions), and now there are some better, new options that have become available. All in all, the gear below is so much better suited to making pre-bop jazz than what I was using when we started the Campus Five back in 2002. Lucky you. In the last 5 years, I’ve only increased my appreciation for the Loar LH-600 and LH-700 guitars. 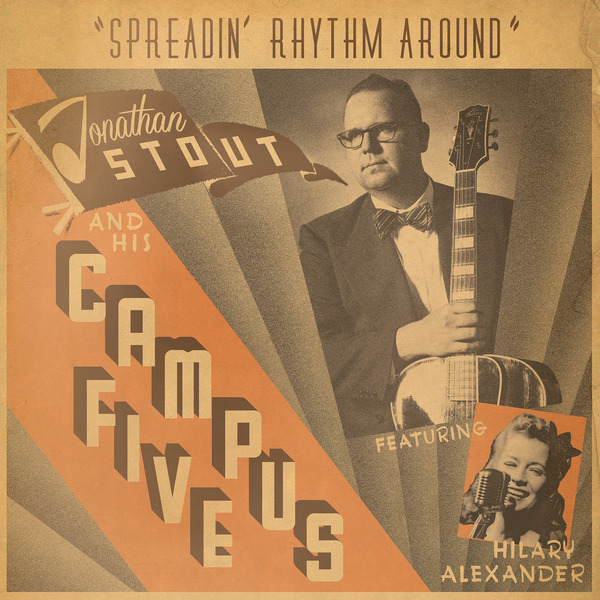 They are without question the best bet for a swing player looking for an acoustic archtop guitar. They look appropriately vintage, and they sound right for playing anything from Eddie Lang to Freddie Green to Allan Reuss. 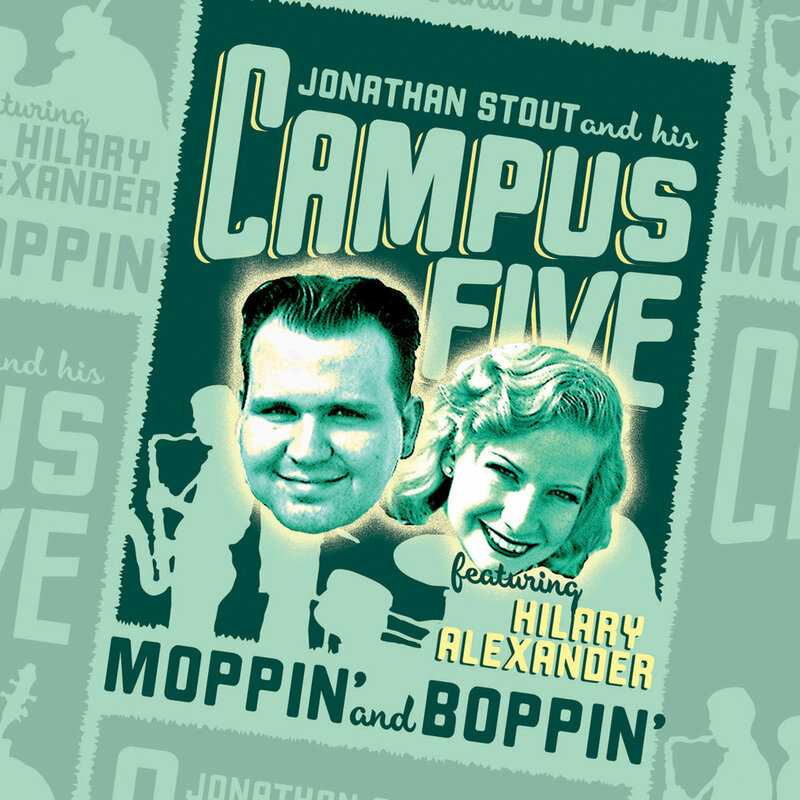 There are a bunch of folks in the swing dance music world playing them, which is a pretty clear endorsement. Jake Sanders plays one with Naomi and her Handsome Devils. Brooks Prumo plays one with Jonathan Doyle, and his own Orchestra. I know I’ve seen photos of one in the Mint Julep Jazz Band. Dave Stuckey and Katie Cavera play them here in Los Angeles. Nirav Sanghani uses one with the Hot Baked Goods and his own band. Annie Erbsen is using one in Asheville. Personally, I’ve borrowed Michael Gamble’s Loar LH-600 for a couple years of Lindy Focus (before I got my own vintage acoustic archtops). 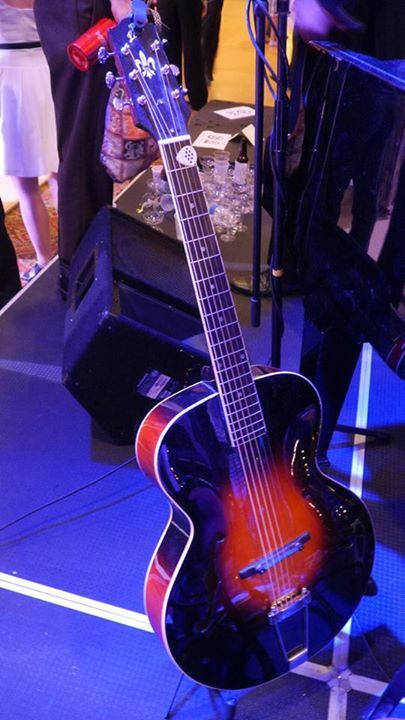 Heck, one of my most memorable playing experiences was when my buddy Nick Ross (a wonderful guitarist out of SF) had me sit in on his LH-700 while I jammed with Paul Mehling (of the Hot Club of SF) who was playing his own LH-600. The LH-600, and the nicer LH-700, are really the only option for a widely available and affordable non-cutaway acoustic archtop. I played a wonderful Eastman AR805 for 10 years, and I can definitely can recommend one if you get a chance - but there have been so few non cutaway Eastmans made, and the company isn’t really making many now, so finding one is challenging. Oh, and they’re 50% more expensive on average. But, there are a lot of LH-600’s around, and Loar is still making both. 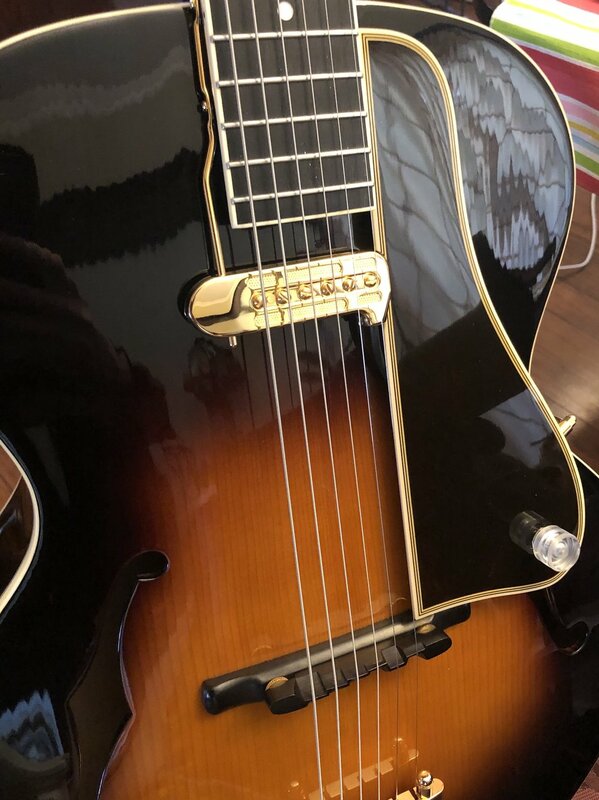 Modeled after a circa 1927-1931 dot neck 16” Gibson L-5, the parallel braced construction is a solid choice for all manner of pre-bop guitar playing. Of course are factory-built Asian import guitars, so they are reasonably consistent, but they may require some attention to play their very best. 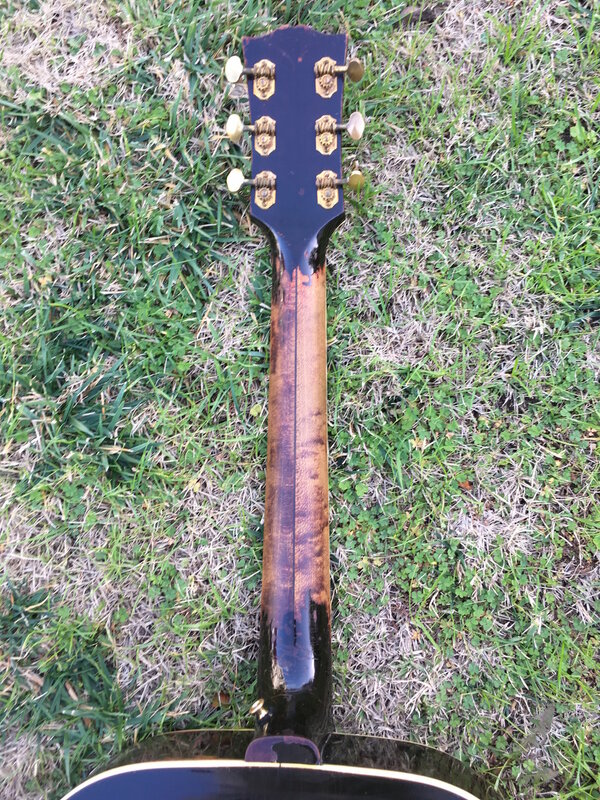 My aforementioned friend Nick Rossi went as far as to replace the tailpiece and bridge tops with higher quality versions, and it definitely makes a substantial difference. But, I’ve still played many stock ones that a good sounding, acoustically responsive guitars. From what I can tell the 700 series are simply nicer all around - better sounding and looking wood, improved quality control and thus better “fit and finish”. Either one makes a great choice, and the LH-600 is still available for under $1000 street price. Is it comparable to a great vintage guitar? Of course not - there’s no faking 70-80 years of age on wood. But you can find a used LH-600 for less than 1/3 the price of a vintage Epiphone Triumph, and less than 1/20 the price of a 16” Gibson L-5. Since the last article, DeArmond (by way of Guild, by way of Fender) is now making a reissue of it’s classic Rhythm Chief pickups in both model 1100 (with adjustable polepieces) and model 1000 (no adjustable polepieces). If you’re looking for pre-bop electric guitar sounds, putting one on a Loar 600 or 700 is definitely the way to go. If you can find a vintage DeArmond, they’re great, but they’ve gotten absurdly expensive and they don’t always work perfectly when you buy one off of eBay. Sadly, they didn’t try to make a reissue of the DeArmond FHC or “Guitar Mic” or “Guitar Mike” which would be the ideal pickup. Still the reissue 1100 is such a great choice to get pre-bop single coil electric tone. The really cool thing is that you can mount the DeArmond with the neck rod (plus you’ll need a pickguard) in a way that keeps the pickup from touching (and this deadening) the top. Thus, it’s possible to make an ideal “hybrid” guitar - one you could mic with a clip-on lavalier mic for an acoustic rhythm sound, but then also install a DeArmond on the same guitar without ruining the acoustic sound! Such a hybrid set up does compromise being able to set the guitar up ideally for either acoustic or electric playing. String-wise, you’re probably going to want to use Monel, though the adjustable pole-pieces of the model 1100 means that you should theoretically be able to make Bronze strings work. I’ve never personally adjusted them, but it should be able to dial it in. While I previously recommended the Loar LH-309, I don’t think that’s still the way to go. 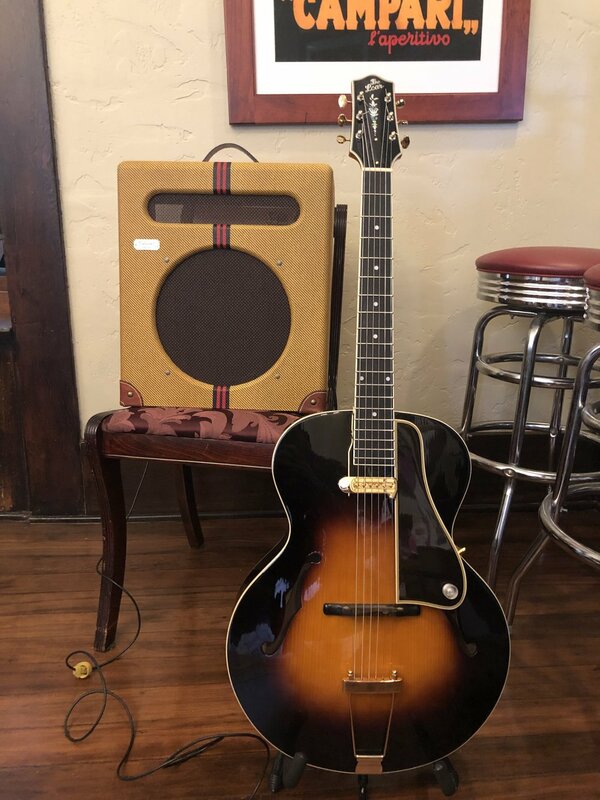 I’ve gotten a lot of feedback that they’re kind of junky by comparison to the 600/700 series guitars, and the DeArmond on an acoustic Loar is the much better option anyway. When I first found out about Vintage 47 amps years ago, I thought they were pretty cool. But since then, they’ve become something I’m really passionate about, and that I use consistently even though I have a real vintage model. Their founder David Barnes, had been making amps based on the old Supro/Valco/National amps of the late 40’s. He was persuaded by my friend Mike Faltesek to take one of his “Ric-Style” models, and modify it to be more like a vintage Gibson EH-185 or 150. Shortly after, he decided to make the circuit a regular model, and put it in a cabinet with cosmetics that were similar to an EH-185. Christened the VA-185G, I picked up one of the first ones, have been using it consistently for almost 5 years now. Along the way, Steve Woolley took over the company, and he and I have done a bit of R&D together. In fact, I’m beta-testing a prototype for a new model right now. About a year ago, I one modification that I made that really took everything to the next level: replacing the (then stock) Tone Tubby speaker for an Eminence ‘Lil Texas Neodymium speaker. This was the suggestion of the twice aforementioned Nick Rossi. While it might seem odd to replace a very “vintage” speaker with a more modern one, the super efficient modern speaker acted and sounded more like the field-coil speakers that were in the original 1930’s amps. The more “vintage” speaker choice tended to add significant coloration, a bit of breakup, and it kept the headroom down. Now if your goal is to dime the amp for saturation in a blues rock context which is what many of the customers of their Valco/Supro amps were using them for , this would be better to keep the amp from being too loud. But, when going for a Charlie Christian-type sound, the more efficient speaker allowed more volume before it got too fuzzy. Once I’d replaced the speaker, the amp was even lighter that it had been. The increased volume and decreased weight started causing me to use the VA-185G at almost every gig rather than bring my real Gibson EH-185. It’s a pretty big deal for a vintage nerd like me to enthusiastically take a repro- or replica instead of the real thing, but the tone was “right” and the convenience factor was undeniable. Steve has since decided to offer the Lil Texas speaker as an option, and apparently most folks are taking my suggestion when they order. Also, now they come with a great looking lacquer over the tweed (which you can see in the previous photo of the Loar with pickup). The last thing I should say is that the VA-185G is NOT an exact replica of an EH-185. However, the sound is right and it allows me to get the classic “Charlie Christian” sound that I so desire. The only bad news is they aren’t quite as cheap as when I first discovered them, but they’re still available for around $1000 and that’s a steal for something so good. So, this deserves it own review post, which I am planning on doing soon, but I definitely gotta mention the Junior Barnyard pedal. The Barnyard is designed to mimic the tone of 1930’s-1940’s octal tube-based amps like the Gibson EH-185. It’s name is a pun on Junior Barnard, who played with Bob Wills. While this pedal has the potential for far more gain than I need (take a listen to Wills’ ‘Fat Boy Rag” where Barnard is pretty gainy for the mid 40’s), it does an amazing job of making regular electric guitar amps get that “octal” sound. It can be run in front of an amp to great effect, but I have to say my favorite was running it into the effects return of a Fender Hot Rod Deluxe (one of the most common backline rental amps worldwide). I picked one up last April, but it wasn’t until October on our trip to Budapest that I really got to really play with it and get it dialed in - it was revelatory. I was so stoked to be able to get “my tone” from a generic modern amp. Plus, I was able to get it outrageous volume levels, which is occasionally something that really helps. They recently added another pedal based on the Barnyard platform, but adding reverb: the El Pescadero. Nocturne also makes amps, including one, the Moonshine ‘39, that is supposed to be a more exact replica circuit of an EH-185. If you can’t warrant buying an amp that’s specifically an “octal” tube style, or if you just have to get that sound on a fly out gig with a backline amp, I highly recommend the Junior Barnyard Pedal.